Famitsu has a nice little piece on the upcoming Assault Suit Leynos port for PS4, as it was apparently present at this year’s Bit Summit in Kyoto. The main news is that the game’s release has been delayed until May next year and it looks like the game will feature co-op play as well. In addition to this, Dracue released some new gameplay videos yesterday (shown below). If we’re honest, the game doesn’t look very good. Admittedly it’s not as bad as the PS2 Valken port (that was terrible) but for a modern 2D game on PS4 this looks decidedly amateurish. The upcoming PS4 game, Chikyuu Boueigun 4.1 The Shadow of New Despair, has finally been given a release date; that of February next year. We got to play the game at this year’s TGS and it was pretty good, despite a rather erratic framerate. 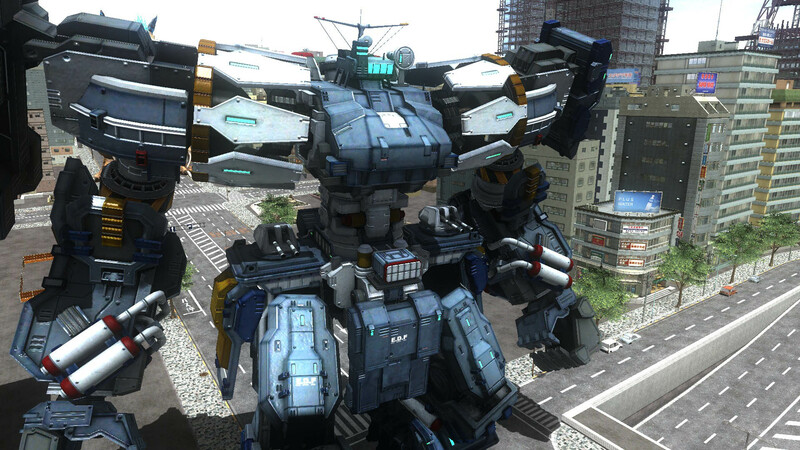 The mecha in the shot is called the Balam and is referred to as a “walking fortress”. We’re hoping Sandlot will be able to do a decent optimisation pass before the game is released, as having a shoddy framerate on a PS4 is a bit bizarre really. 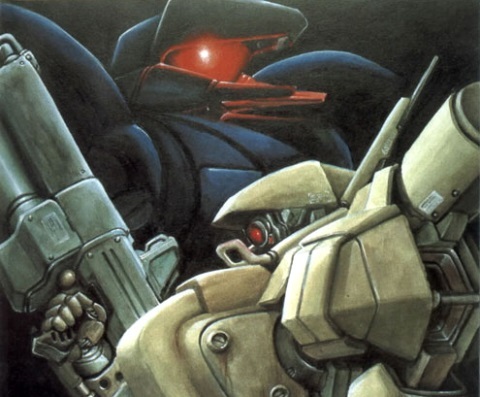 If you’re curious about Sandlot’s mecha game output over the years then check out our feature on that very subject. 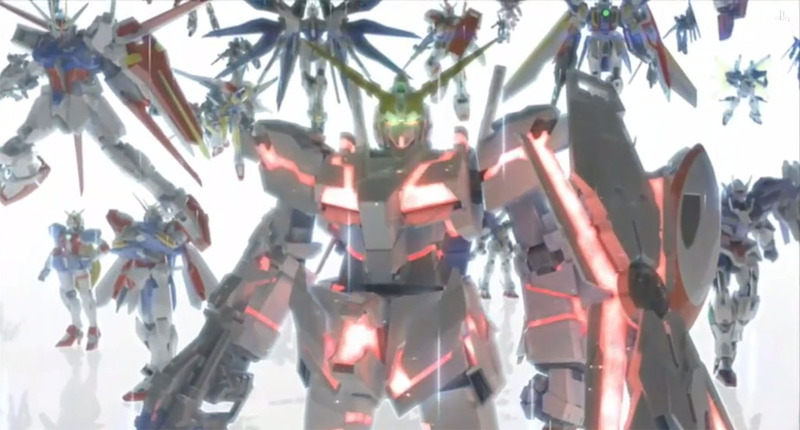 At the recent pre-TGS Sony Conference, another short teaser trailer of the unnamed Gundam game for the PS4 was shown. Aside from the titular RX-78-02, more series-lead Gundams appeared such as Unicorn, God, Turn A, 00 Gundam, Wing, Full Armor ZZ, and many more. Here’s to hoping we’ll see more about this game during TGS 2014, but at the very least we now have a tentative 2015 release date. Until more info drops, feast your eyes on the teaser from the show. 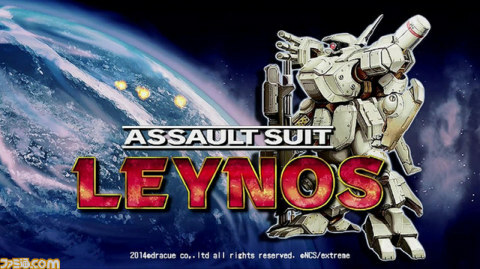 If you remember those nice people at Dracue, of Gunhound fame, well they are taking the next step by releasing a port of the classic Assault Suit Leynos on PS4. Announced at this year’s BitSummit, this new port will pool on the talents of Toru Yoshida (of VOTOMS fame) and Hyakutaro Tsukumo, who also co-composed the score for Gunhound. This doesn’t look like a simple update to Leynos either, but a full blown functional reboot in the style of Gunhound. Whilst we’re not too happy about that, Gunhound was good and Dracue gets the material they’re riffing off. We can only hope they’ll move onto Valken at some point too. The trailer for the new port is shown below. An untitled Gundam game has been announced at the recent SCEJA PS4/Vita conference. 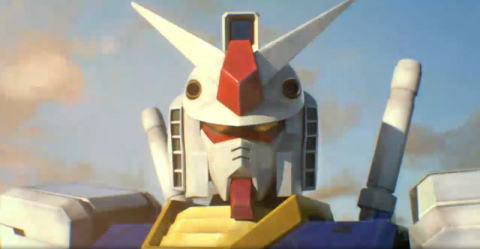 A short teaser trailer was shown with small clips of Gundam games released for previous PlayStation consoles leading up to a CG RX-78-2 Gundam staring into the screen, then presented with the tentative title dubbed “Mobile Suit Gundam”. More than likely this game will once again revisit the One Year War. No gameplay specifics were mentioned, my guess is that it will either be something akin to Battlefield Record 0081 for the PS3 or possibly the sequel to Gundam Extreme Versus Full Boost. We will update you as soon as more information is released. 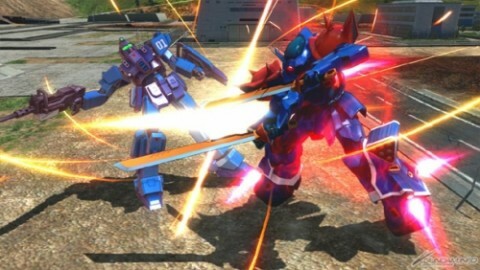 Looks like next-gen arcade hardware is looming in the near future as Namco is supposedly creating a new arcade board to house its upcoming games, such as the sequel to the Gundam Versus series. Dubbed the “System 478”, the hardware is rumored to be based off of PS4 tech, similar to how the System 357 and System 256 boards were based off of the PS3 and PS2 respectively. 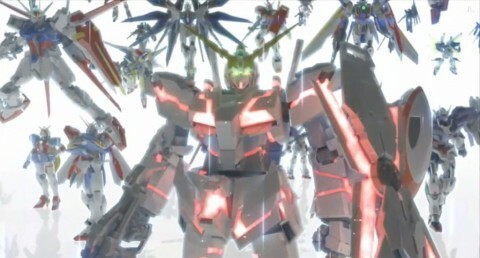 The two previous arcade boards ran the Gundam Extreme Versus series and prior Gundam Versus games to include A.E.U.G. vs Titans to Gundam vs Gundam Next. Here’s to hoping we find out more information on the arcade board and the eventual Gundam Versus sequel during the upcoming 2013 Tokyo Game Show! Indie developer 17bit is very much hitting the nostalgia buttons with their upcoming game 2D sidescrolling shoot-em-up, Galak-Z: The Dimensional. 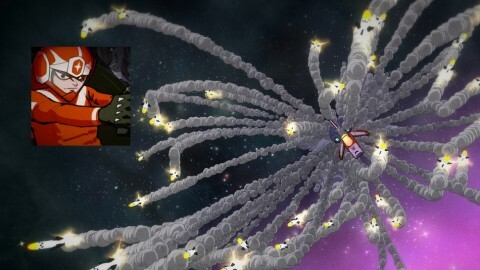 Coming to the PS4 and PC in 2014, the Macross/Gundam/Space Battleship Yamato-inspired game has the player controlling a lone spaceship (which reminds me a bit of Hikaru Ichijo’s FanJet) against a horde of enemies, including some large mecha and aliens, through asteroid riddled areas. While it doesn’t seem as if you can transform into a mecha and vice versa, your missile attacks are very reminiscent of the well loved “Itano Circus,” on top of performing rather appealing dodging maneuvers hearkening stylistic anime action. Check out the recently released PAX 2013 trailer and Kotaku developer interview below!